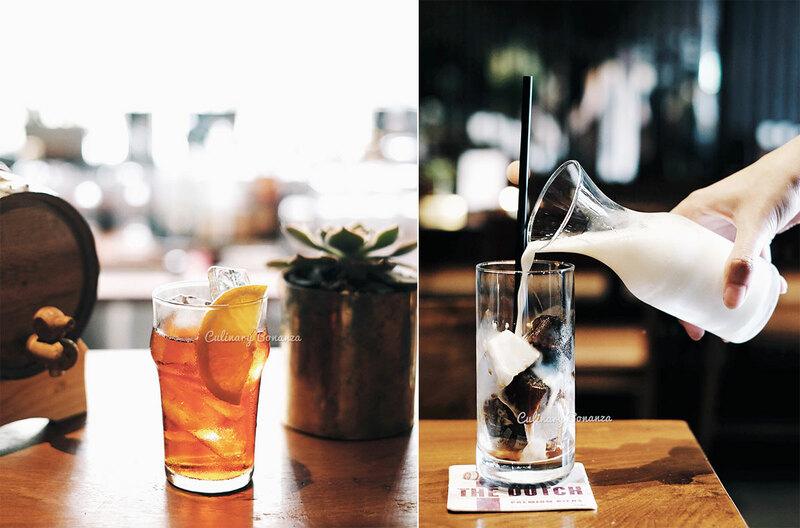 The Dutch Gastropub: Cheers to Beer & Homemade Saucijs! Union Group, one of the most prominent players in the F&B scene in Jakarta, has just opened a new concept in the heart of Jakarta's CBD. It is the only place in town to own a copper brauhaus bridge with a total of 8 taps, and serves entirely housemade sausages and cured meats. It's The Dutch Gastropub. 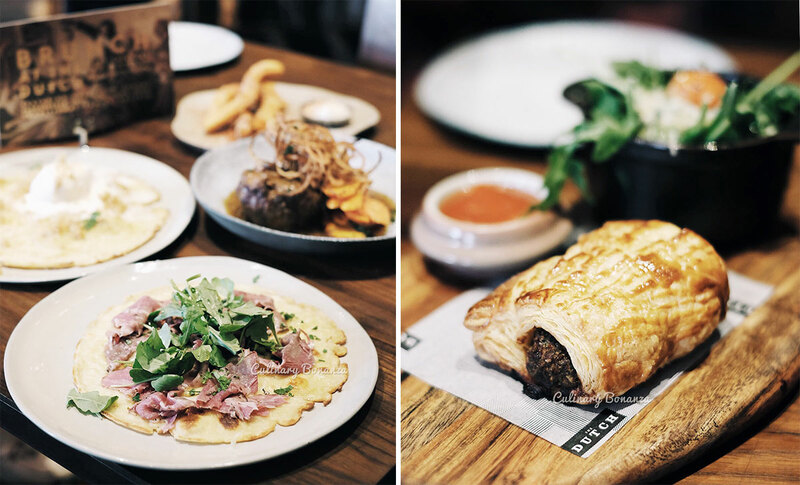 The Dutch is unique in that it is one of the very few places that's steeped in serving Dutch food in Jakarta, albeit with some modern and Chef Chris Moes' own twist. Unfortunately, no, you won't find Poffertjes or Stroopwafel (they're too cliche) here. 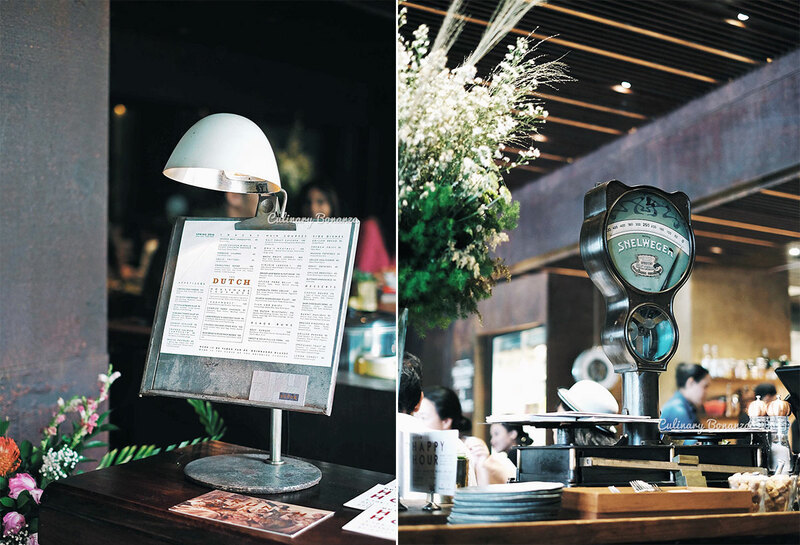 As a modern gastropub located on the ground floor of an office building, The Dutch is clearly banking on office executives and the working crowd as its regular customer, whether it be for after-work drinks, lunch or dinner meetings even for weekend brunch with the family. As such, The Dutch primps its place with a masculine dark interior to make the place feel serious during the day and mysterious in the evening (at least that's how I feel). So the bar is one of the most prominent elements of The Dutch. The long counter is a Disneyland for any bartenders out there, with assorted elixirs and ingredients to play around with. But the most special feature here is the copper brauhaus bridge, which can dispense 7 different beers and a house-signature cocktail, Americano. Feeling quite bubbly? Then you should try the One Metre Beer, which is a tasting board selection of all the beers on tap for only IDR 300,000. Oh, be warned, the Americano is quite strong! Why so serious Mr. Bartender? So The Dutch also focuses seriously on its food, especially on the Housemade Sausages, which are traditionally handmade & slowly smoked in-house. Here, you can try 5 different sausages made with pork (Rookworst), Chorizo, Lamb Merguez, Chicken even Duck sausage! I went there to try the Brunch menu, so I didn't try the sausages, and chose the Oma's Meatball instead. The meatball's quite huge, served with equally large lump of 'boerenkool', Dutch style mashed potato with kale and gravy. I was quite digging the meatball, especially because of the sweet onion rings (my favourite sweet & savoury combo). I've been told that the other guests have given positive feedbacks on its 'Erwtensoep' (split pea soup with rookworst, pretzel roll & smoked butter) and Kurobuta Pork Collar. I'm going to save these menus to try on my next visit. So every Saturday & Sunday from 11 am - 4 pm, guests could try sweet or savoury Pannekoeken from Chef Chris' traditional family recipes, as well as The Full Package - a platter of all the housemade sausages for only IDR 225,000. So, these are the kind of brunch food, The Dutch style... As a sweet tooth, my favourite falls to the sweet Pannekoeken with banana in it, topped with coconut ice cream & palm sugar. Lekker! Chir Chir Chicken Arrives in Jakarta! Extraordinary Italian Feast at Publik Markette!